Renee Canter Johnson in Venice, Italy–the setting for her next novel, Behind the Mask. Sometimes a journey is an outward adventure. Other times it is an inward one. My journey as a writer may have begun when I wrote my first novel at the age of nine, but it received new life upon arriving in France for a writing school and reflection into myself. The date alone was auspicious: 10-10-10. I should have known that it would be powerful. I lacked confidence in my writing ability, in spite of being encouraged to join a creative writing club by a college professor. I was in the business field – not the arts – following the well meaning advice of counselors and relatives. There was no one encouraging me to give writing any serious consideration. I assumed they knew best. But there came a time when the tribal drum beat called out louder than ever before. The time to find out if I had any talent had arrived. I jumped off the comfortable cliff of the status quo and leapt alone onto a plane headed for France toward a destiny shared with other students and a teacher I believed in although I had only shared conversations with her through the internet. I didn’t even belong to any social media groups before preparing for this class. My computer was a ten year old relic with no ethernet port. My internet service was dial up. The largest portion of my writing consisted of journaling in long hand. I had written a few novels – one was quite horrible but allowed me to get the kinks out and the other had a few issues but I rather liked it. It was my secret hobby; nobody, not even my husband, knew. Pierre Auguste Renoir’s Final Resting Place. 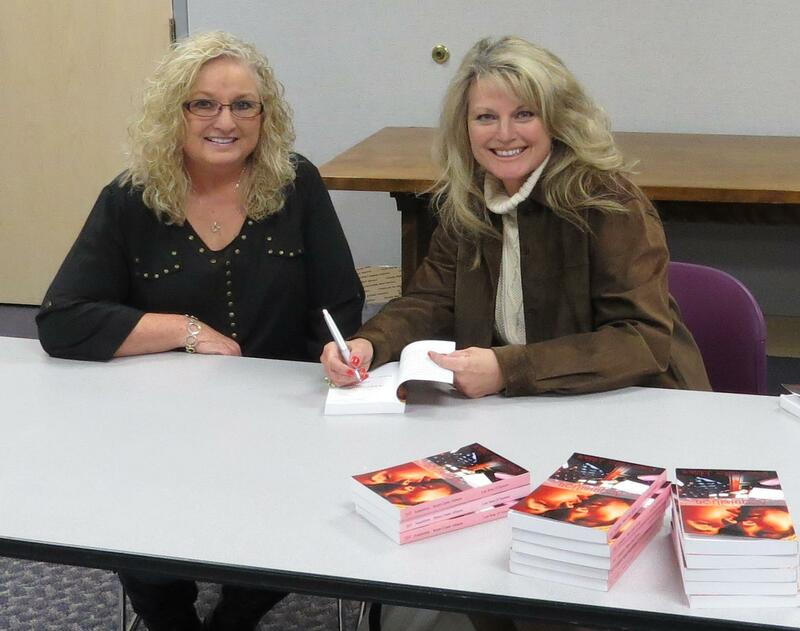 Even in class I had trouble handing my work over to the instructor – writer, professor, editor Janet Hulstrand. I feared that she would suggest a new hobby – knitting maybe. But I had to know if there was a shred of salvageable material in my work. I had to know if I had any talent. And I was prepared to hear that I didn’t. It is always easier to hear the bad as opposed to the good. I would have calmly let it go and enjoyed the beauty of the French countryside. When she told me that it was good and that it really needed little in the way of editing, I actually cried. It was supreme validation. The other students were immensely supportive and the villagers of Essoyes referred to us as ‘Janet’s writers’. Perhaps I needed to hear myself referred to as a writer in order to believe it in the deepest cells of my body. I probably needed to hear it about six thousand times. The leaf-covered table and chairs beyond Janet’s chalet. But I remember the day near the end of the week, walking through the golden vineyard behind the Hotel des Canotiers – the very field Renoir used as inspiration for ‘Path through the tall Grasses’ – with a few of the other students. I could see the writer in them and suddenly could feel it in myself. A voice whispered inside of my own head telling me that I too was a writer. ‘Path Through the Tall Grasses’ reproduction placed in the spot it was painted. The safe shelter Janet provided allowed a metamorphosis of my beliefs. Another writer suggested that I purchase business cards to remind me of it. Being part of a group mirrored my reflection from them – the women I respected. Once I believed, the path was marked for me by Janet. She honed in on my weaknesses and helped me develop them into strengths. She made suggestions – which I listened to – and allowed ideas to flourish. One day she even stopped the class to give me time to jot down another plot for a story line. I returned home full of energy, excitement, and determination and didn’t want to lose it. So I started a blog just to get use to the idea of having my work seen on a daily basis and learning that making mistakes was alright. There is always a way to edit and correct. Constructive criticism has helped me grow. I welcome it. 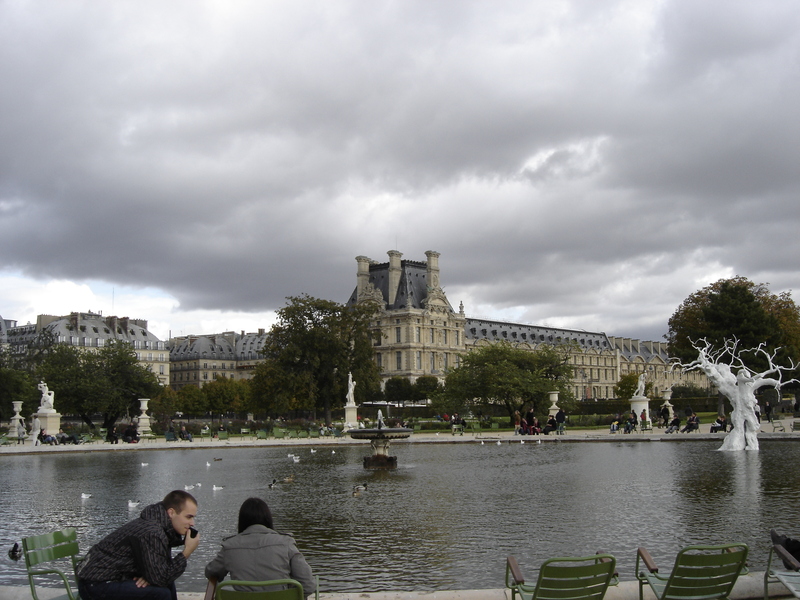 Then I sent a short story entitled –What is it About Paris? – to an online publishing house and have just been notified that it tied for runner up travel story of the year. Louvre from the Tuileries Garden in Paris, France. With each success I gained a little more courage. I sent a travel article to Bonjour Paris about Essoyes and the newly created Renoir Museum which they published. And then I entered a contest through Rate My Study Abroad, although I wasn’t enrolled through a university. It received an honorable mention and I was – and still am – over the moon about that one. The following spring I attended a writer’s conference in Asheville, North Carolina, where I met my current publisher, The Wild Rose Press, and my editor, Maggie Johnson. With their encouragement, I submitted my first novel, Acquisition. It was released on November 7, 2014. It was followed by The Haunting of William Gray in November 2015. Inspired by travels in the low country of South Carolina, it offers the twists that are indicative of its setting in Georgetown and Charleston. Part historical, part paranormal, a little gothic, and very intriguing, The Haunting of William Gray will–hopefully–have readers believing in ghosts. 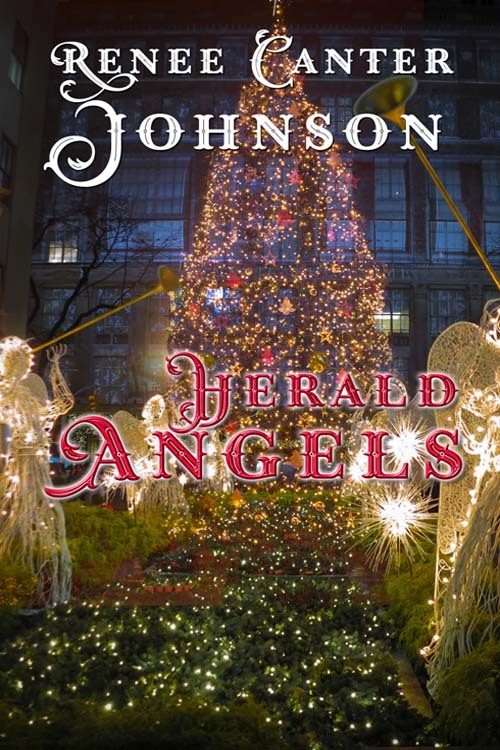 As a special treat, my holiday novel, Herald Angels, will be released just in time for Christmas on 12-09-2016. Whether you prefer simple country celebrations, or flashy and bright Christmas in the city, this is the novel for you. Rural Virginia competes with Manhattan for the spotlight as the main character struggles with her past, future, and various family issues, most notably those concerning her sister. If you are looking for a feel-good-Christmas novel, this is the one for you. Behind the Mask, my fourth novel with The Wild Rose Press, will launch March 24, 2017! Inspired by Venice, Italy, it juxtaposes the watery city with an American in trouble, a murderer on the loose, and an Italian doctor intent on saving her. Romance meets intrigue in this international suspense. And my network of talented writers is expanding. A Young Adult novel I had been toying with for years was awarded a two week residency at Noepe Center for Literary Arts on Martha’s Vineyard. Living with likeminded authors from various places around the United States gave me new insights and perspectives, and a lot of cool friends. But it didn’t end there. I accepted the invitation by the director of Noepe, who also leads a Monastic Studies Retreat in Italy, to join this past year’s journey. It was a trip not only to a previously unknown-to-me medieval village — Orvieto — but also into some unearthed territory within myself. The Young Adult novel I finished during my second residency at Noepe, has now been awarded one of ten spots in University of Iowa’s Novel Intensive Workshop. I’ll be updating with pictures and further details of its progress later this summer. My single step began with the Essoyes School . It gave me permission to follow my dreams, which changed my life. There is no going back behind a dark curtain of self-doubt. What a wonderful journey you’ve had, both physically and intellectually. I am off to read your Paris story — a city I love. Congratulations on all your accomplishments and I am really looking forward to following on your path. Thanks Elyse. I hope you enjoy the Paris story. It’s my humorous approach! I think we just inspire one another, Arindam. You offer much inspiration to me, and I know that you do to others as well. Hello Renee Johnson Thanks for following my blog.You have a very nice blog here. I love your collections! Keep spreading the joy and beauty by writing hand to the world, my friend. Thank you for such a nice comment. I’m so glad you enjoyed what you’ve read so far. And your blog is excellent. I’ll be following along! Always Welcome Renee..nice to meet here….Are you interested to writing articles through our blog.? Certainly. That’s a nice idea actually. Thanks Cyril. Ok fine .Always keep in touch. What a beautiful story Renee. Congratulations on your Paris story. I’m off to read it now. It’s a bit of fun and humor. Hope you enjoy it! A beautiful life’s journey full of adventures and excitement. A journey that led to amazing people and places. Thank you. It was pretty amazing and inspiring. Wow, Renee, this is inspiring to read – that life can be so fulfilling AND including writing, doing it. I loathe my office work. Cheers to you 🙂 & Happy Easter, while I’m here! Happy Easter to you and Daniel. Welcome! Thank you for subscribing to follow my blog. looks like you have an interesting blog here, and I do hope you enjoy mine. Thank you for visiting Arun. I hope you’ll find something of interest here. It’s an honor to be a part of your amazing world of beautiful words and images. Thanks for the recent comment. Have a great week. The honor is mine. Thank you for such a lovely comment. Wishing all the best. Have a great weekend. Thanks IT. Hoping the same for you every weekend. The action part is the hardest, but also the most rewarding. I have a feeling you are more ‘figured out’ than you think and I love your site. Good luck and nice to meet you too. Thanks for inspiring us everyday and for the warm, generous visits. Have a blessed day. Thanks Cathy. I enjoyed your site as well and will be back for more of your insights. It’s a pleasure reading your work. Thank you so much. What a nice comment. Thanks so much for the follow. I am returning the favor, as I enjoy your writing. What an incredible experience to study writing in France! It sounds very tempting. . . . Thank you. I enjoy your blog as well. France is always tempting, isn’t it? Must return soon. The light, the people, the culture, the food…lovely. Love the Louvre picture – and the cheese cart! Thanks. I can’t resist a cheese cart. Yum. Thank you for visiting my blog and following it. Have a wonderful CHRISTmas! Thank you and wishing you a very happy Christmas as well. A beautiful introduction replete with inspiring quotes which makes one think deeply. Writing a novel at the age of 9 reveals you to be gifted. I’m keen now to explore and savor your articles. Thank you so much. I am a quote lover to be sure and often add them to my posts. I’m pleased to hear you enjoyed reading about my journey. Thanks Sherri. I just read your piece on Paris as well, and loved it. OK, I’m just going to say it! We’ll always have Paris – in common! Hi, Renee –Thanks for following my blog. I love reading about the journeys of fellow writers. Ver inspiring words, you have a great blog! Thank you so much. I’m coming over to your site to visit with you too. So happy to have you stopping in for a visit. I love your site as well. Hopefully we’ll add some thoughts to each other’s journeys. Thank you. Very inspirational Renee. By reading stories like yours I’m hoping I can find my way too. I started my blog as a way to start writing again, which I’m enjoying. Not sure where it’ll take me but here’s hoping there’s no stopping me! I look forward to following you. Welcome. I hope you will find something interesting here every time you drop by. And thanks for the follow. Hi Renee, thank you so much for stopping by my blog and following. Your accomplishments are so inspiring. Look forward to reading more. Thank you Mia. You have a lovely blog and I look forward to following along with you as well. Renee, this is the most wonderful and inspiring about page I’ve read! 😀 My heart delights as you begin to trust your writing self and bounces with joy as you discover who you are – a writer! Well done on your early successes to give you lift and real boost in confidence. The course sounds amazing set in a stunning setting with so much artistic aura. I must check it out. You travelled a long way to this one …not so far from me. Annika, thank you so very much. Yes, there has been much traveling–inward and outward–to reach this point. I hope in sharing this, others will be inspired to take steps forward in their journeys to find themselves.